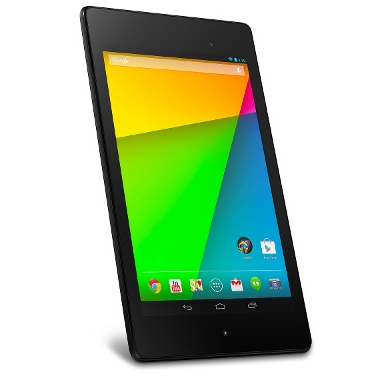 The 2013 Nexus 7 might not be available from Google anymore, but it's still one of the best devices in its form factor. There are a lot of impressive deals available for this tablet, usually falling well below the $150 mark. So it is with one of Groupon's deals today: you can grab a 16GB WiFi N7 for $149.99, but if you add in the coupon code sale3 to the mix before you check out, you can take an extra $15 off that price. Yes, there's a coupon on Groupon. No one was more surprised than I. Thanks to Groupon's $25 and over policy, shipping is free... but unfortunately the deal isn't valid in Alaska, Hawaii, Canada, Puerto Rico, or anywhere else that isn't part of the 48 contiguous US states. Bummer. But for the 300 million or so Americans that do qualify for this deal, it makes a great cheap tablet for reading, Mother's Day presents (May 10th, kids) or projects like a car stereo display. It's also got the Nexus software advantage: the N7 is one of the only Android devices currently running Lollipop 5.1. Even the tablets that Google is selling in its own store can't say that. Hurry up and get your order in if you want one. The Groupon deal is active only for today, April 27th, and quantities are limited.